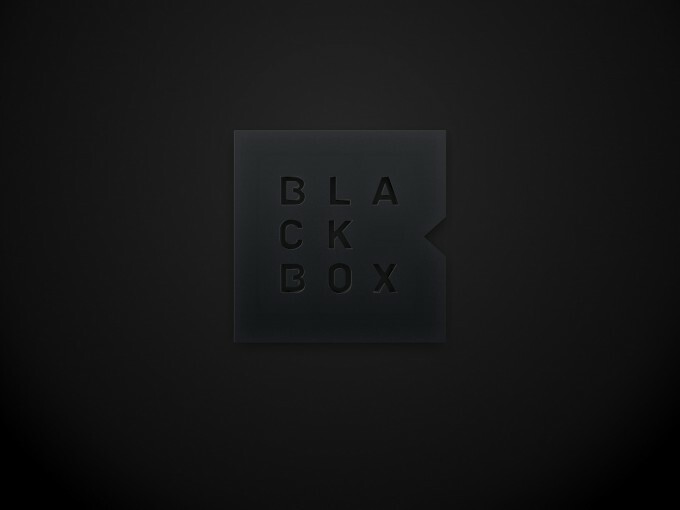 Blackbox is an established, award-winning Singapore research agency operating since 2002. Research has evolved beyond traditional surveys and focus groups. 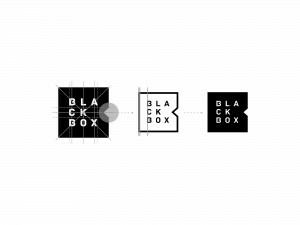 In order to achieve prominence in the market, Blackbox began leveraging on the latest in digital and online technology to pursue innovation. Since implementing its previous identity 12 years ago, Blackbox has experienced significant change. As a result, the agency has accumulated a range of isolated communication tools, which became increasingly difficult to manage and ensure consistency. 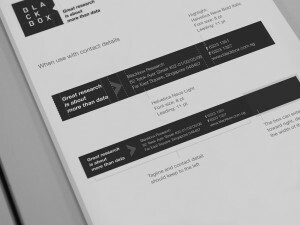 The change in the environment and the inconsistent communication has fragmented Blackbox’s identity, Blackbox immediately realise a long-term solution was required. Blackbox approached Rabbit to refresh and develop a new visual identity and system. The challenge was to reflect Blackbox’s modern approach, local origination, sophistication and future-focused strategy. The new identity needed to reflect their strategic vision to position the agency’s commitment of providing more than just data. The new identity system needs to address both internal and external perception of the disjointed and inconsistent communication. Yet, keeping the changes recognisable and relatable to the current clients of Blackbox. At the heart of the new design, an abstract silhouette of the lettering “B” from Blackbox presents a full expression of the new identity system – immediately recognisable and eye catching. The new Blackbox identity, focused on the strategic vision and value of “Great research is about more than data”, represented by the greater than sign (<) combining with the abstract lettering “B”. Rabbit built an identity system that expanded on the iconic greater than equity from the new design. The new imagery style also highlight simple localised moments. The new identity is a celebration of innovation and commitment, both future-proof and iconic. The visual identity system was applied to marketing materials and stationery. Blackbox now commands the attention that an award-winning agency deserves. The refreshed and unified identity has transformed the brand from inconsistent and fragmented, to a modern and future-focused brand that stands out.